Do you watch game shows and think you could win because you'd hit the buzzer way faster than the people on TV? Now is your moment to shine. 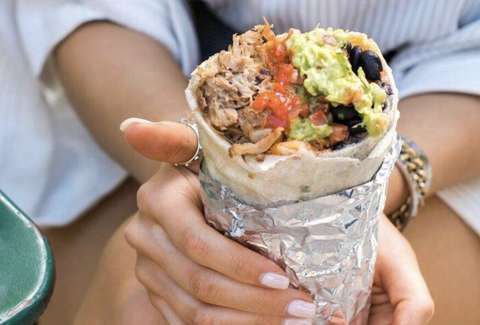 Dos Toros Taqueria has launched a new app called Burrito Time. The sole purpose of the app is to put free burritos in your craw. Download the app, and at a random time each day you'll get a push notification announcing it's "Burrito Time." "I've got to credit HQ trivia," Marcus Byrd, marketing manager of Dos Toros, told Digiday. "It's the idea of owning somebody's day, where people stopped whatever they were doing to spend time with an app. HQ trivia, without the questions. It's a way to stay top of mind every day." The app is intentionally simple. The restaurant isn't messing around with menus, loyalty points, coupons, or the ability to place an order from your phone. It's just dropping by and offering a free burrito. Acquiring bragging rights has never been so easy.